Joining the Diamond Jubilee Campaign working party means you will be directly involved with helping make the planned Diamond Jubilee redevelopment of Graduate House a reality. What is the Diamond Jubilee redevelopment? To mark the Diamond Jubilee anniversary of Graduate House, we are planning a significant expansion of the college. This will take the form of an eleven-storey above-ground and two-storey below-ground development at the back of the current building at 222-234 Leicester Street, Carlton. This means the addition of 136 accommodation rooms, and the extension of the unique, collegiate, homely Graduate House experience to nearly twice as many postgraduate students. Our fundraising target to realise this exciting expansion, is $50 million. Resident Member representatives on the Capital Fundraising working party will be called upon to assist and plan fundraising initiatives to work towards this goal. Membership of the Diamond Jubilee Campaign working party, is primarily about harnessing your own social networks (both on- and offline) and encouraging those people you are already connected with, to spread the word across their networks. We know that at Graduate House, we are fortunate to have a wealth of energy, ideas and global connections in our wonderful residents. We want to tap into that precious resource, to get the message about our exciting project, and its enormous benefit to postgraduate students like you, moving in a ripple effect throughout the global community. Conceiving, organising and collaborating on fundraising activities. Meeting regularly with the working party to share ideas, discuss progress and plan future fundraising activities. Reaching out to your own networks and communicating the benefits of supporting our Diamond Jubilee campaign. Encouraging other Resident Members to be active in sharing our message with their respective networks. Assisting in identifying and liaising with lead donors. Why join the working party? Be involved in shaping new living and event spaces, not only for yourself but for a world-wide collegium of postgraduates. Actively contribute to The Graduate Union in helping achieve our fundraising target of $50 million. Work in a collaborative environment, with other postgraduates from diverse disciplines and industries. 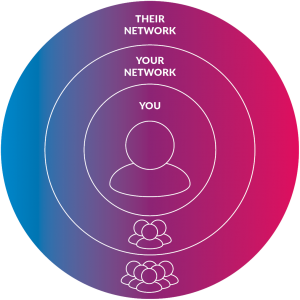 Expand your personal and professional network. Enhance your resume: involvement in a subcommittee of a global collegiate organisation such as The Graduate Union demonstrates your capacity for leadership, organisation and commitment. This is all on top of the invaluable service you will be rendering to Graduate House. We think the ideas and voices of residents are a crucial ingredient for the success of this exciting next phase of evolution for our House. Subscribe to The Graduate Union on Facebook, Twitter, Instagram, Youtube and Linkedin. Watch our YouTube videos promoting the Diamond Jubilee Campaign. Share statuses or our videos through your networks. Join our Diamond Jubilee Campaign Working Party!